This Olive Garden inspired pasta dish is made with a variety of fresh vegetables, including broccoli, summer squash, tomatoes, carrots, and mushrooms. Concentrated beef stock or condensed beef broth could be substituted for the water and bouillon granules. For a vegetarian version, use vegetable bouillon instead of beef. Melt butter in a Dutch oven or large pot over medium heat. Sauté onions and carrots for 5 minutes. Add broccoli, mushrooms, squash and, garlic and sauté for 2 minutes longer. Add remaining ingredients, stir well and bring to a simmer—Cook for 8 to 10 minutes, or until the vegetables are tender. 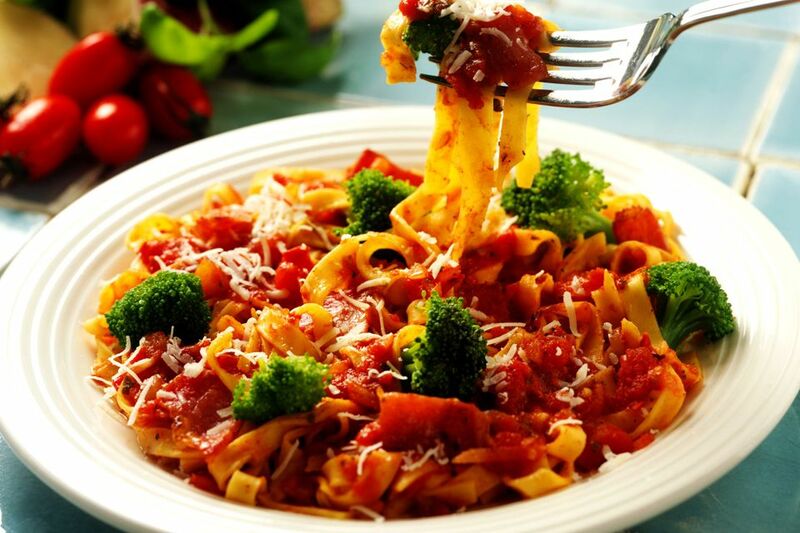 Serve the vegetable sauce over the hot drained pasta. Sprinkle Parmesan over the top and serve.